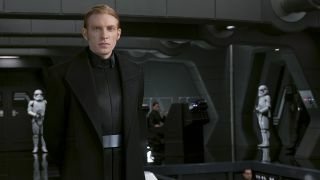 General Hux is a bit of a dark (pun absolutely intended) horse going into Star Wars: The Last Jedi. Rightly or wrongly, we’re all focused on Snoke, Kylo Ren, and whether either Luke or Rey will turn bad, but this guy’s been around the evil block – and then some. So, what next for the galaxy’s scariest redhead? For one thing, the rivalry with Kylo Ren is going to be at the forefront of the General’s plans, as he looks to vie for attention from Snoke, like a baby brother who’s been overshadowed by his older, better-looking sibling who can move things with his mind. For more (cheerful, hopefully) Star Wars: The Last Jedi news, check out the space horses in the new Chinese trailer for the movie, as well as a look at whether we’re getting deleted scenes in Star Wars 8.